The No. 19 Case Western Reserve University men’s soccer team is hosting the sectional round of the NCAA Division III Championships on Friday and Saturday, Nov. 16 and 17. The Spartans will face No. 10 Kenyon College in the opener on Friday at 5 p.m. while No. 4 Calvin College will play Penn State Behrend afterward. The matchup against Kenyon is a rematch of the Spartans’ 3-0 win over the Lords back in September. However, that proved to be Kenyon’s only loss of the year. The Lords finished the year 18-1-2 and have won nine out of their last 10 games. From Kenyon’s overall performance, the loss to CWRU was an outlier in an otherwards outstanding season. They finished in the top 10 nationally in both goals per game and goals-against average. 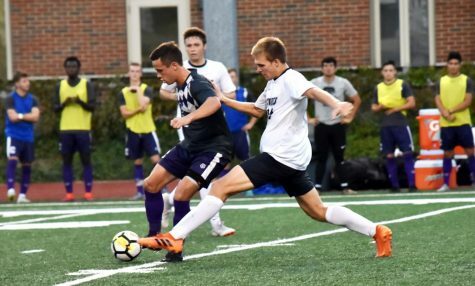 Kenyon is led by fourth-year midfielder David Anderson, who was named the North Coast Athletic Conference (NCAC) Midfielder of the Year, and fourth-year defender Bret Lowry, who was honored with NCAC Defender of the Year. Anderson has 12 goals and two assists this year while Lowry has been stout on the defensive side of the field. 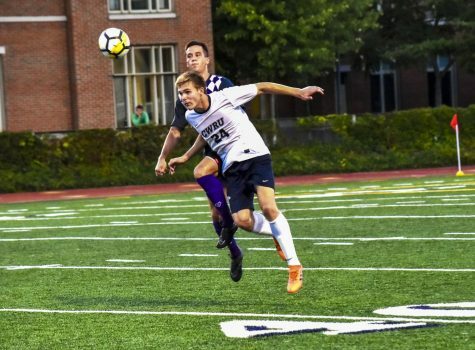 Kenyon also has the advantage in experience, as they have made the tournament in each of the last four years and moved onto the Elite Eight in 2015 and 2016. For the Spartans, this is their first tournament appearance since 2011 and only the second time CWRU has advanced to the Sweet Sixteen. 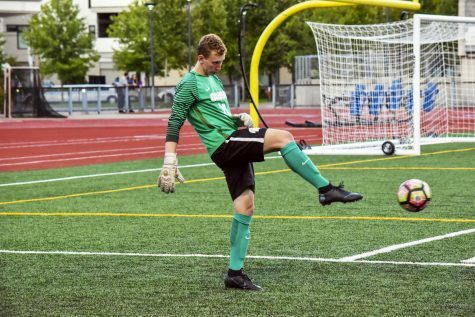 They boast a 16-3-1 record with a .617 strength of schedule, the best of any of the teams in the section. 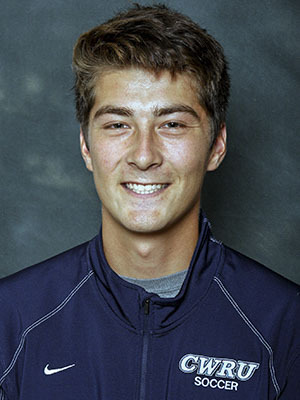 CWRU also has the best record against top-25 teams at 3-1, featuring marquee victories over Kenyon and then-No. 1 University of Chicago. On offense, the team is led by third-year forward Zachary Senft, third-year midfielder Garrett Winter and fourth-year forward Alex Besl. All three have nine goals or more, with Senft leading that group with 10 goals and eight assists. At their best, they have proven they can beat anyone; at their worst, their offense can sputter and look like a shell of themselves. The Spartans are arguably the most inconsistent of the ranked teams and will need their best version to show up this weekend to make an improbable Final Four run. 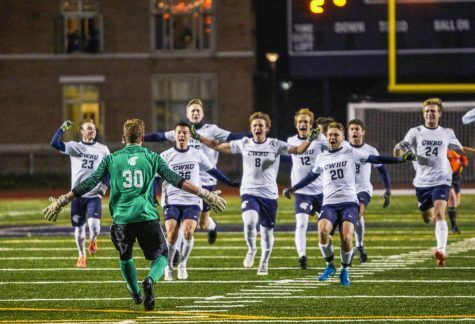 Undeniably, the best team of the four coming to DiSanto Field is Calvin. At 19-1, their only loss came to one of the best teams in the nation, Chicago. They are the best offensive team in the nation with 84 goals in 20 games and the sixth best defensive team, allowing a mere eight goals on the season. After steamrolling through the first two rounds, they enter this weekend as the favorite to advance to the semifinals. 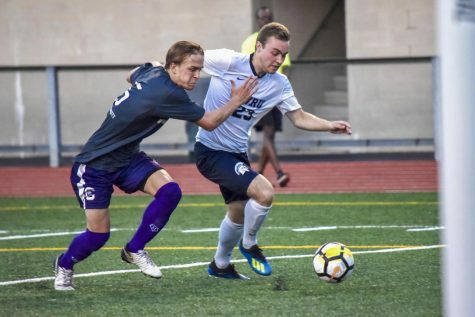 The Knights’ roster is filled with talent that will be difficult for any team to compete with them, headlined by fourth-year defender Trent Vegter, “the best defender in the country” according to d3soccer.com. Anything less than a berth to the Final Four will be considered a disappointment for Calvin. Penn State Behrend is the only team of the four that is not ranked in the top 25. They last made the tournament in 2016 but lost in the first round. The Lions are a balanced team, ranking 22nd in both offense and defense. They are a quality squad, but will run into a brick wall named Calvin. It is just difficult to imagine a scenario in which the Lions win this game. The CWRU-Kenyon matchup should be a tightly contested game. The Lords will aim to avenge their loss at the hands of the Spartans earlier in the year. This game will be low scoring, with CWRU squeaking out a 1-0 win with a late goal by Besl. In the late game, Calvin will rout Penn St.-Behrend 4-0. That will pit the Spartans against No. 4 Calvin. 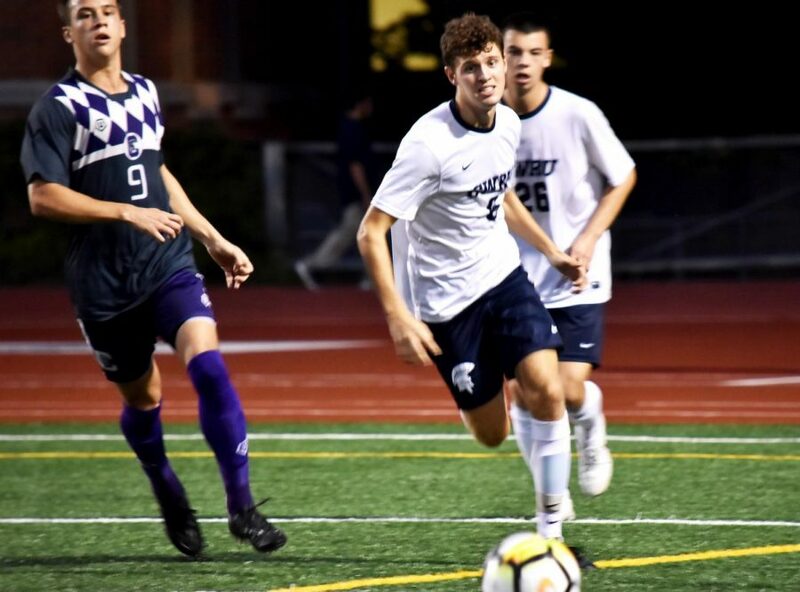 CWRU has fared well against top teams this year, but this matchup will fall in favor of the Knights, 3-1.